Polls show widespread support for net neutrality. 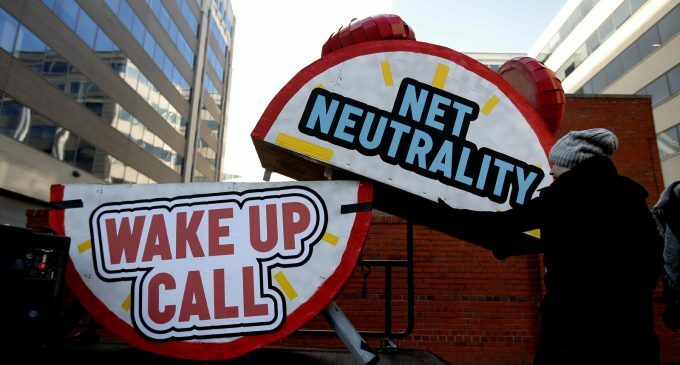 Last year, polling found 77% of people in the United States “support keeping the net neutrality rules, which are already in place” and 87% agree that “people should be able to access any websites they want on the internet, without any blocking, slowing down, or throttling by their internet service providers.” The FCC’s net neutrality rule does the opposite of the national consensus, and if members of Congress want support from Internet users, they need to reverse the FCC’s rule. The Internet Service Providers’ position is being advocated for by the right-wing group, Freedom Works, who defends the FCC’s repeal of net neutrality. They will be holding a day of action on Monday. They are taking the CRA challenge seriously and can no longer ignore us. The paths we are on in the courts, Congress and the states are challenging, but every step this campaign takes builds the political power of the Internet equality movement. The Internet movement is never going to give up on its demand for net neutrality, as well as related issues of equal access to high-quality broadband for all, no matter your level of wealth or income. As we discussed in our radio show (listen below) with two top experts on Internet issues, the failure to treat the Internet as a common carrier violates legal principles going back before the founding of the United States. The ideas that the mail was a common carrier or that public transit treated everyone equally are the root concepts of net neutrality. We need to continue to build power to ensure Internet access is seen as a human right and a tool of free speech with equal access for all. Kevin Zeese, JD is an organizer of Popular Resistance and co-directs Its Our Economy. He is an attorney who has been a political activist since graduating from George Washington Law School in 1980. Margaret Flowers, MD co-director of Its Our Economy, is a Maryland pediatrician. She left practice in 2007 to advocate full-time for a single-payer health care system at both the state and national levels. The post The Next Stage of the Net Neutrality Fight has Begun appeared first on MintPress News.